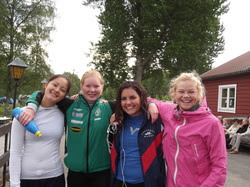 Paddle Pad: Gabriella's last update from Sweden!! Gabriella's last update from Sweden!! I have had such an amazing experience paddling here in Sweden. I miss SDCKT SO much! Tonight was my last day with my club here, it was very hard and emotional to say goodbye to them all here as it has been such a wonderful year full of new experiences, but I am so thrilled to be coming home to an amazing team. I am very lucky to be a part of SDCKT I miss you all so much, and I can't wait to come back and paddle with you all again! The last couple races I had here was the first weekend in June, which I placed 3rd in the 200 meters! It was so cold there, I had on my winter jacket!! In June too, I had never imagined I would ever need my winter jacket then. But we were all shivering, then running to our team tent and warming ourselves by our fire. Other teams came to us for some warmth! The total opposite of Georgia last nationals when everyone came to us to cool off in our pool! It was crazy cold that weekend! 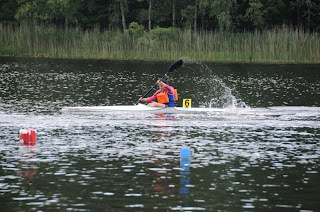 Then I was in Katrineholm for a teamboat camp for a little less than a week. It was super fun, there were kids my age and 1 year younger there. 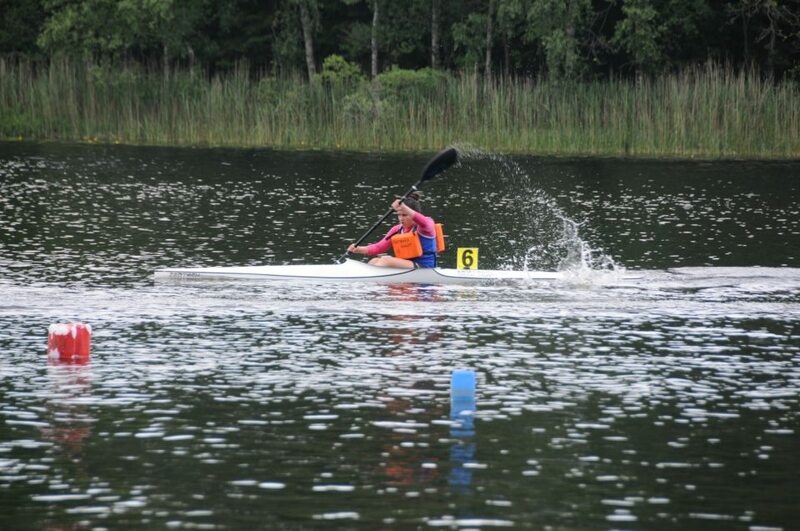 We paddled a bunch of different combinations, mixed in the national teamboats. They were very nice to paddle in! At night we would watch videos together from our practices that day, and look at our technique. The first race of the year was in Jonkoping where I got the chance to meet Swedish Olympians such as Sofia Paldanius, Anders Gustafsson, and Markus Oscarsson! It was awesome meeting them, and seeing them race! We had a few free days from school this year and then a few of us on the team would meet up and have our own mini kayak camps. We'd come in the morning do a gym or kayak practice, eat lunch together rest, then do our 2nd workout and give it our all although we were already more than exausted from our first. Pretty sure I threw up from one of those practices we had. they were real tough. 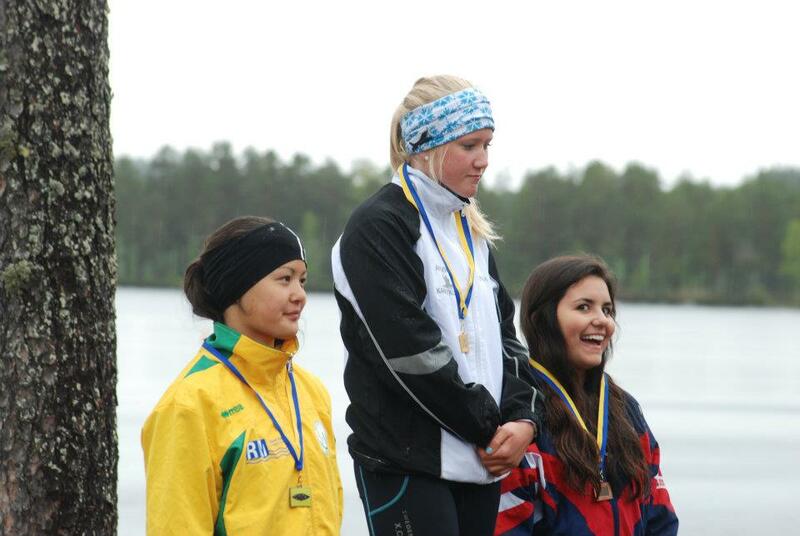 My last race this year here in Sweden was at the same location my first race was last year when I came. In Varberg. The Danish were also there! They are so good. One of the girls my age trains 10 times a week, and all of the Danish paddlers have a whole lot of muscle!! gotten to know so many new here, it has been really fun! After 10 months I am about ready to come home, I will be leaving Sweden tomorrow morning and I can't wait to see you all!